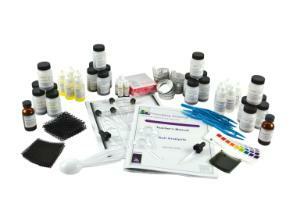 Analyze Soil in the Classroom. Soil composition has been a keystone experiment in earth science classrooms for many years. Our soil analysis kit will teach students the skills needed to properly conduct soil composition tests as well as allow them to collect and evaluate local soil samples. By bringing in local soil samples the students can build a stronger connection to their own local environment while still building on a knowledge base that can be applied to any other environment. Aligned with NGSS Standards ESS2A; MS-ESS2-1; Stability and Change.